Successfully added to your bag. YOU ARE $4.81 AWAY FROM FREE SHIPPING! 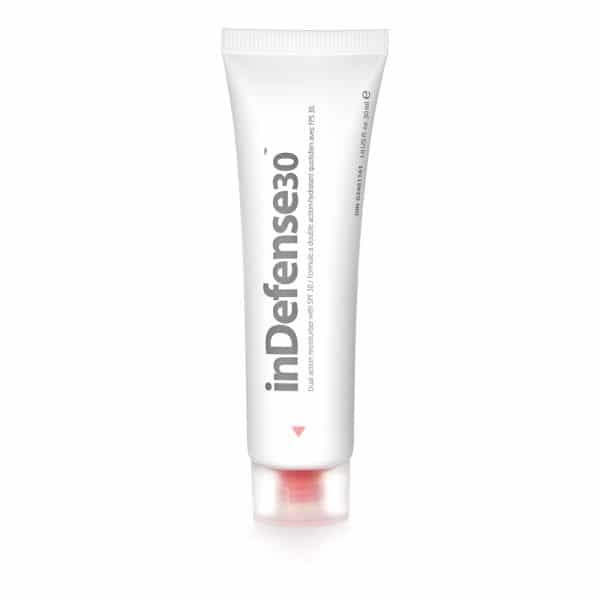 inDefense30™ is a lightweight moisturiser and partial mineral based broad-spectrum sunscreen with SPF 30. This formula easily absorbs into your skin to provide intense hydration and protect your skin against harmful UVA/UVB rays and premature aging. It contains zinc oxide, a non-toxic and soothing mineral that increases skin’s stability and defends against hyperpigmentation and brown spots; and Pycnogenol®, one of nature’s most powerful natural antioxidants that rebuilds collagen and protects skin from harmful enzymes to rebuild elasticity for smoother, younger looking skin. Use daily 15 minutes prior to sun exposure. 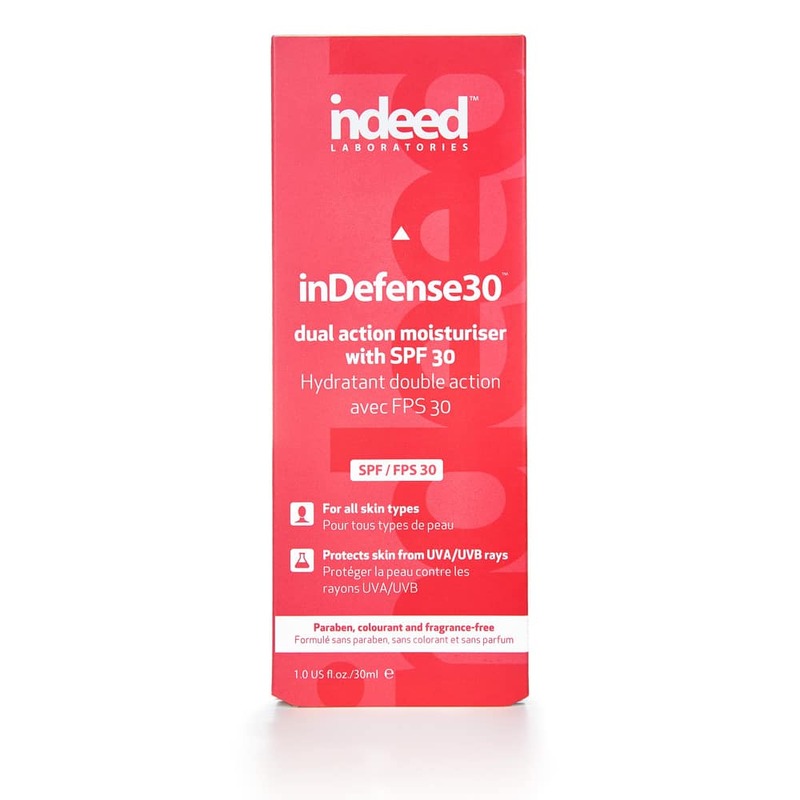 Apply inDefense30™ liberally and evenly as the last step in your skincare routine before makeup to help protect skin from harmful sun exposure. Pycnogenol®: A natural source of antioxidant shown to be 50 times more powerful than vitamin E. It helps slow the skin’s aging process while protecting from environmental stresstors that cause dehydrated skin. 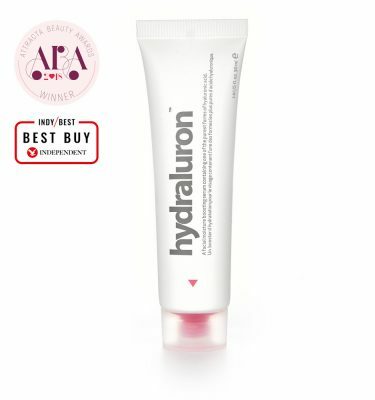 Hydroviton Plus: Delivers intense hydration and improves skin’s natural moisture. Zinc Oxide: A mineral that increases skin’s stability, protects against UVA and UVB light rays and heals skin from pigmentation. This is my favourite facial moisturizer ever! I use it under my makeup and have no problems with greasiness! It’s lightweight and absorbs quickly! I now have my 15 daughter using Indeed !! Used this every day on vacation and I am hooked! Amazing product – recommend to everyone! Love this. Finally found a scent free sunscreen that works. No aggravation at all. Wish they also sold a larger tube. Thanks Indeed. This is by far the best sunscreen moisturizer I’ve ever tried. It definitely works against the sun and makes my skin feel extremely soft and refreshed! I use it every morning! I love the way it feels on my skin, it isn’t oily like other sunscreens and leaves my skin feeling moisturized. Highly recommend! FINALLY! A sunscreen that is light weight absorbs quickly and doesn’t leave you feeling greasy! Protecting my skin and feeling moisturized all day. Highly reccomend this product for everyday wear. This product is the best when you just want one multi-tasker and saves me time in the morning! It does not have that greasy feeling that most SPF moisturizers have. I used this during the day when I was on vacation and it had great hydration and left my skin soft and protected. I definitely recommend this for everyone because you gotta protect your precious skin! Sunscreen is SUPER important in maintaining my skin’s youthful appearance, so going without is out of the question! Unfortunately, most sunscreens are thick and smelly and feel really gross under makeup. NOT THIS ONE! This is my favourite sunscreen EVER. It feels light and will not make your makeup look weird or oily or dry. It is perfect! I’m obsessed with this product. I usually don’t like using sunscreen on my face because it leaves my face greasy but since I know it’s essential to use sunscreen I tried this product. I have to say it left my skin soft and smooth and not greasy. I love it! I bought this a few weeks after it was released and really like it. It rubs in very easily and isn’t greasy. It does it’s job and feels great on my skin. 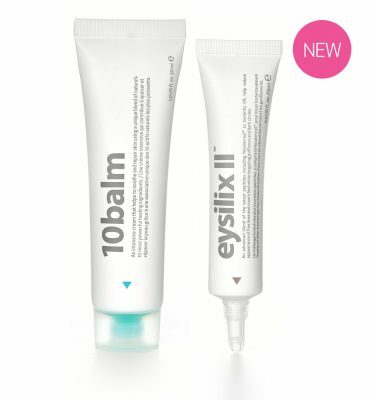 I recently started using this product and I love it! I always have a tube in my purse and use it regularly-daily! Feels more like a moisterizer than a sunscreen. I use this product every day through the summer and winter. Amazing at protecting my skin from the sun and a good moisturizer. So glad I added this to my routine. 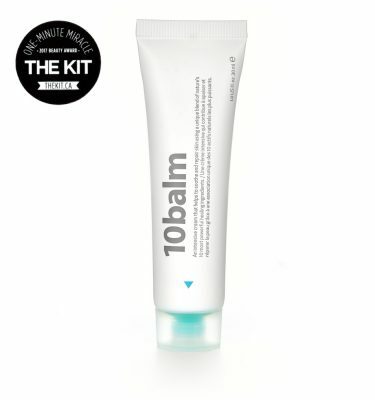 Great product – feels great on the skin – does the job !!! amazing product !! great sunscreen – feels great on the skin and does the job !! Everyone on earth should use this everyday if they want to stay young and not get skin cancer!